As her senior year draws to a close, it looks as though Holland Jaeger has everything going for her. Good grades, best friends, the perfect boyfriend, a job she loves, and a sometimes trying blended family that she nevertheless loves. 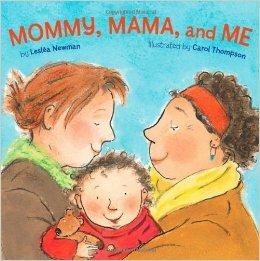 (Well, Holland loves her Mom and baby sister anyway – her stepdad is tolerable and her stepsister lives elsewhere, mostly.) Then gorgeous, brilliant, and completely Out and Proud Cece shows at school up one morning and Holland begins to question everything she thought she knew about herself. Peters writing is rather rough here, and while the rawness fits the subject matter there’s not enough depth to transform this from a Problem Novel into something more enduring. It’s not so much the talk of Goths and CDs that date the book as it is the assumption that high school will always be a place where only the Brave are Out, and the accompanying lack of introspection that might help teens, a decade later, better understand Holland’s experience – and better recognize what much hasn’t changed. Savitri’s acceptance into Princeton should be good news, not a secret she’s afraid to share. But attending Princeton means leaving Holly and Corey behind in Chicago. It means a long distance relationship with Corey, no more hanging out with Holly, and an end to the time the three spend exploring the city as freerunners. Yet before Sav can make her choice, Corey is taken from them in a random act of violence. Now Holly’s the one with an impossible choice, and Sav may be the only person who can help her. I stumbled a bit getting into this book; a trio of friends who do parkour seems to be an increasingly common trope, and while it’s one I would normally enjoy, the previous two books I read with this setup were less than stellar, so I cringed at bit at first to see it again. Thankfully, this isn’t them. 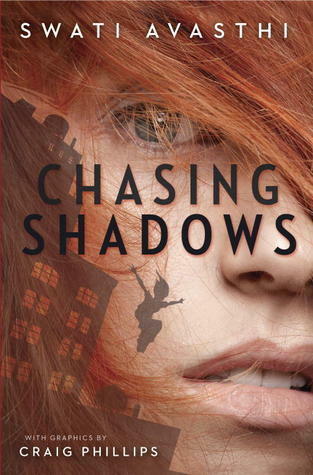 Chasing Shadows is a book about grief and loyalty, friendship and betrayal. It tackles often complicated topics: from survivor guilt to cultural appropriation, and it deals with all of them with grace and honesty. There are no simple answers here, no easy way to make the pain go away. Instead we get complicated relationships and heartbreaking decisions wrapped up in a deceptively simple story. Highly recommended. 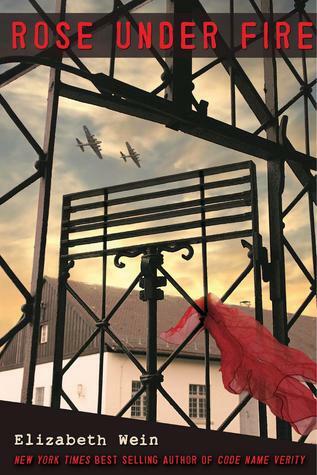 A class trip to Paris is just the opportunity Colette Iselin needs. 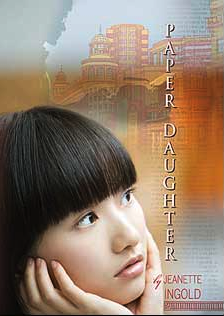 A chance to meet new people, to get away from home, to escape her mother, to hang out with the popular girls, and to explore a new, fabulous city – and her family’s past. 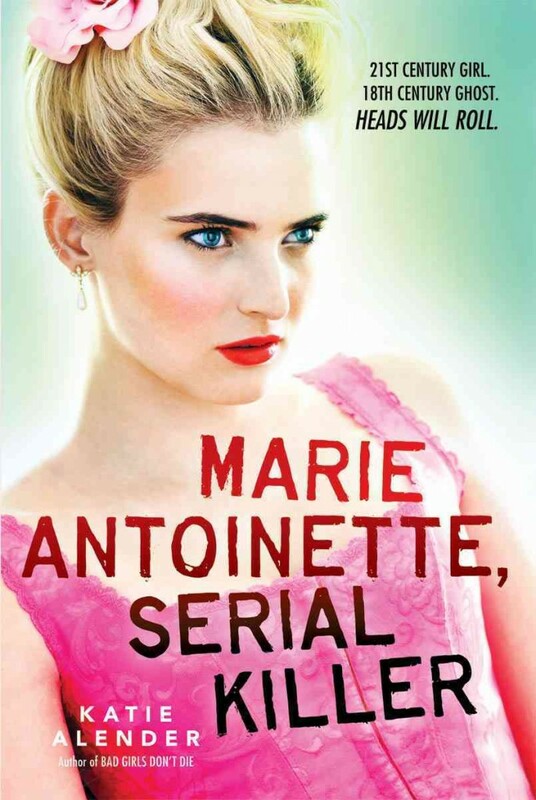 But a serial killer is on the loose in Paris, murdering young men and women about the same age as Colette. And Colette herself has been seeing strange things – including what may be the ghost of Marie Antoinette. Needless to say, this particular novel requires a decent suspension of disbelief. Not so much because of the ghosts, but rather because of the way it plays loose with history. Still, while not quite as good as the other book by Alender that I’ve read, Bad Girls Don’t Die, this new novel is entertaining enough. Preparing for Vantage Point, the photography competition for high school students that Pippa hopes will launch her career, is stressful enough by itself. But now Pippa also has to deal with rocky friendships, cute boys, and rivals out to sabotage the entry she’s been working on for months. And because that’s not enough to deal with, Pippa also been assigned to work at the hospital for her community service requirement. The same hospital where she used to go to visit her Dad, and where she promised herself she’d never have to go to again. 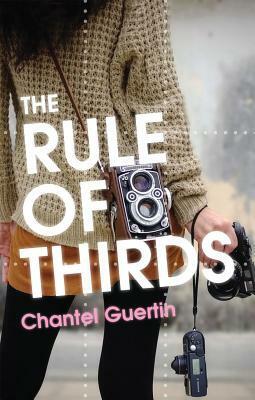 The Rule of Thirds isn’t the type of book to make top ten lists, but it’s a nice, solid, entertaining novel with a good balance of humor and heartbreak and just enough surprises to keep you guessing. I very much enjoyed reading it, and thought Guertin did a great job explaining the artistic process (when the subject came up) which isn’t something that’s always handled well in books like these. I very much look forward to reading the sequels. At night, Jessica dreams of running. She can feel herself taking her regular morning jog, or racing in another competition, always fast and strong and sure of every step. But by day, Jessica can no longer walk. The accident that left a teammate dead also left Jessica missing the lower half of one leg. She doesn’t mind the pain so much – there are drugs for that. What she’s really afraid to face is the fact that she no longer knows where she’s going, or how she’s going to get there. 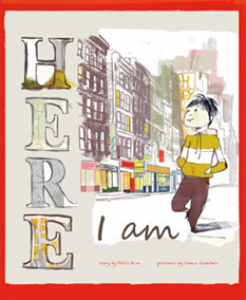 I was a little afraid that this book, based on the premise, was going to be maudlin and trite, full of Life Lessons and Inspiration From Unlikely Places. 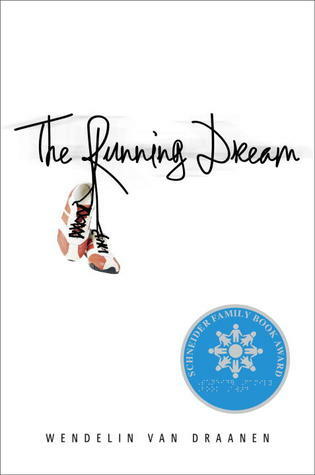 Fortunately, this book is by the same author who gave us Flipped, so while the story does indeed end on a hopeful and triumphant note, there are no easy solutions here, no universal truths. 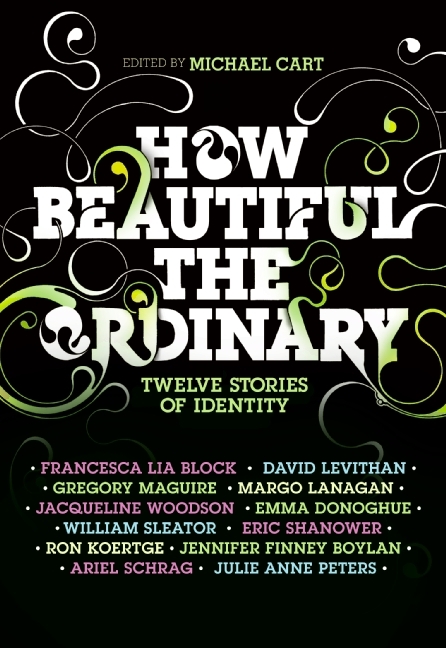 Just how one teen girl copes with a dramatic change in both mobility and identity. 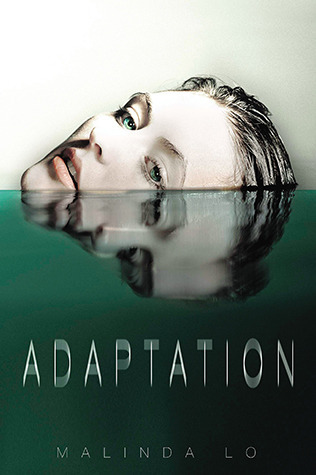 Van Draanen does a wonderful job of crafting a nuanced story, and of not only showing us how Jessica changes, but also of letting the tone and mood of the book change along with Jessica. Sahar was six when she told her mother that she wanted to marry her best friend, Nasrin. Maman told Sahar to not to talk about such things, that the girls could always be best friends, but to marry would be a sin. 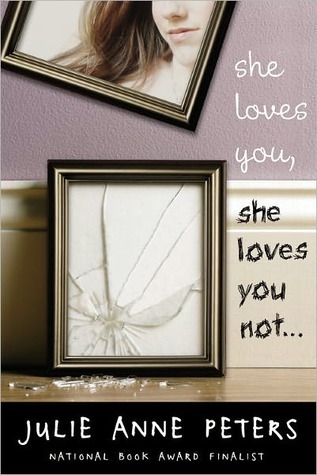 But Sahar’s love for Nasrin wasn’t something that she could outgrow or forget. So Sahar and Nasrin hide how they feel from everyone but each other. How long can two teenage girls kiss and profess their love in secret? And what choice do they have in a country where being discovered means jail or death? There are a great number of things that I love about this book. 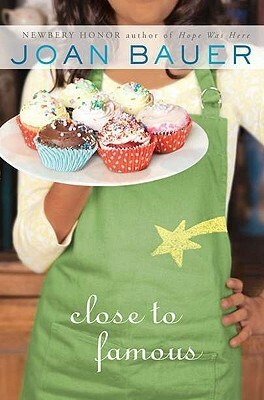 The first is, of course, the subject matter, and how it’s handled. 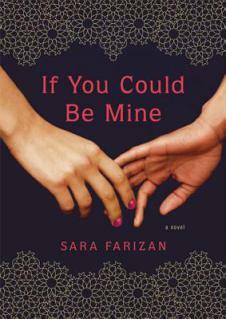 If You Could Be Mine is a story about first love, and what it’s like to fear losing it. It’s also a story about identity and relationships, and the extent to which we are shaped by who we love, and what parts of ourselves we are willing to give up for that love. And, of course, it’s also a story about what it’s like to be different in a culture that rejects those differences, often violently. 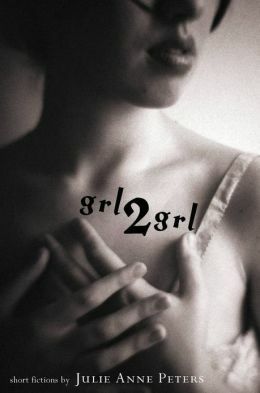 The book handles all of these topics with grace, and in particular does a wonderful job of showing that American views on sexuality and gender are not the only way of looking at things. 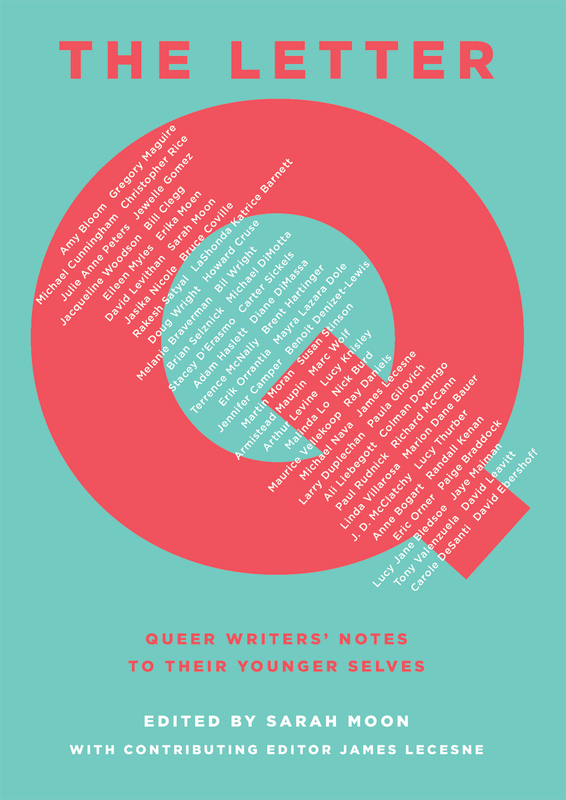 Just as the title says, this is a series of short letters (and a few comics) written by queer writers and addressed to the teens they used to be. The intended audience actually consists of teens today (of course) and the letters reflect that in they way they consider how things have changed – and haven’t changed – for queer youth over the past several decades (or more). 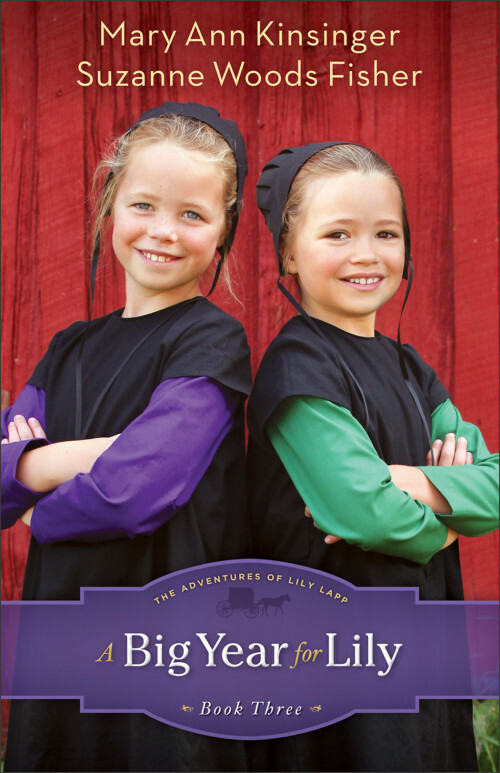 There is an overall “it gets better” tone to the book, what with the letters being written by successful writers and all, but it thankfully lacks the condescension that can sometimes creep in when telling kids to hang in there. Instead, a sense of wonder permeates the letters, as the writers reflect on the dreams they had when they were young, and marvel at how excited (or possibly disappointed) their younger selves would be to see what they will become. The letters also cover a wide range of experiences and life paths and acknowledge that the teen years do not have a monopoly on pain, nor does adulthood have a monopoly on joy. Thus presenting queer youth with roadmaps for the future and into a world in which they are not alone. 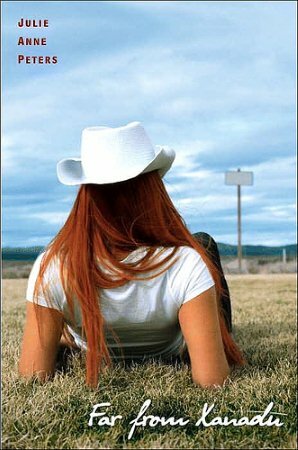 Amy moved to the country and in with Aunt Mae to get away from the her past, specifically: an abusive boyfriend. Henry fears the future – and what his brother’s death will do to his mother and grandfather. They live in the same town, yet it’s impossible that they would ever meet, as Amy lives in the 21st century and Henry is stuck in 1944. But something happened the day the letter came to Henry’s house, and now his family – what’s left of it – lives in a never-ending summer. 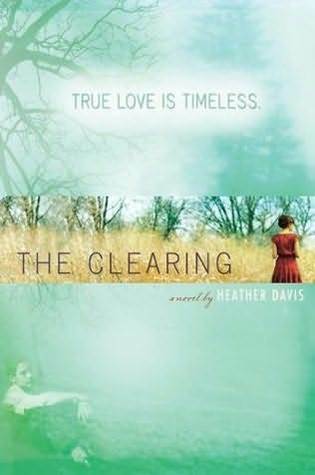 When Amy crosses through the fog and into Henry’s life, he begins to think that maybe it’s time to face the future after all. And Amy starts to think that maybe she’s strong enough to face her past as well. 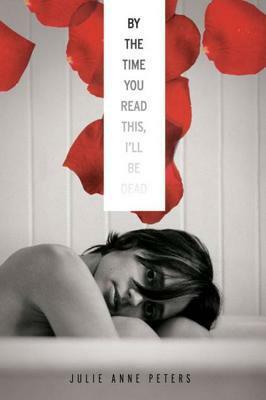 This was an odd book, but not a disappointing one. I found myself asking “what? how? 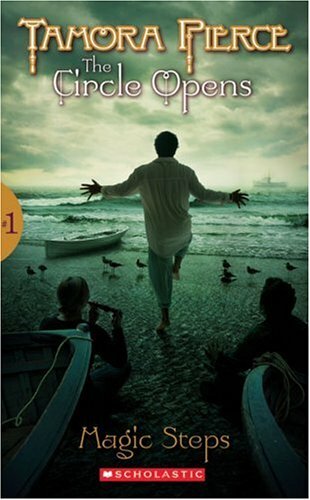 why?” a lot when it came to Henry’s predicament, but the main characters complimented each other well, and the ending was satisfying without being…well, any more credulous than the premise. I’m not sure how strongly I would recommend this specific book, or who I would suggest it to, but I am interested in reading more by this author. As the younger sister and only living relative of Charles Sorenson, a duke in the alien Chapalli Empire, Tess is heir to wealth and power. But this is not the life she wants, so when she finds herself stranded on a planet outside of Chapalli control, she finds it tempting to take her time returning home, and enjoy life with the Jaran, the nomadic people who find her and take her in. Except that Tess’ own arrival via a Chapalli spaceship is proof of their disregard for the treaty that places the planet Rhui out of their control, and she fears the Chapalli may have plans for Rhui, ones with dire consequences for both her brother and the Jaran. 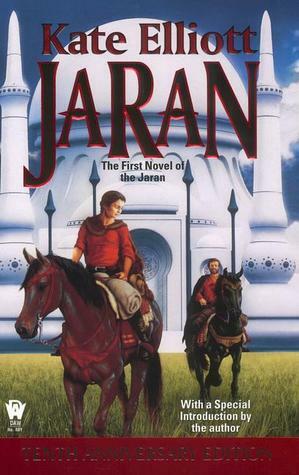 Jaran is a very different kind of science fiction, one focused on empires and culture and not just aliens and changes in technology. It also manages to look at these themes from both an intimate and wide angle perspective. I definitely recommend it; I enjoyed it and look forward to reading the rest of the series. But there were parts of it (mostly concerning the romance between Ilya and Tess) that would have had me worried if I didn’t already trust the author, so that might be useful to keep in mind. Alyssa hadn’t planned on coming out to her father and stepmother yet, that happened quite by accident. Now she’s been shipped off to live with the biological mother she barely knows, in a small town far from her friends and the girl she loves. 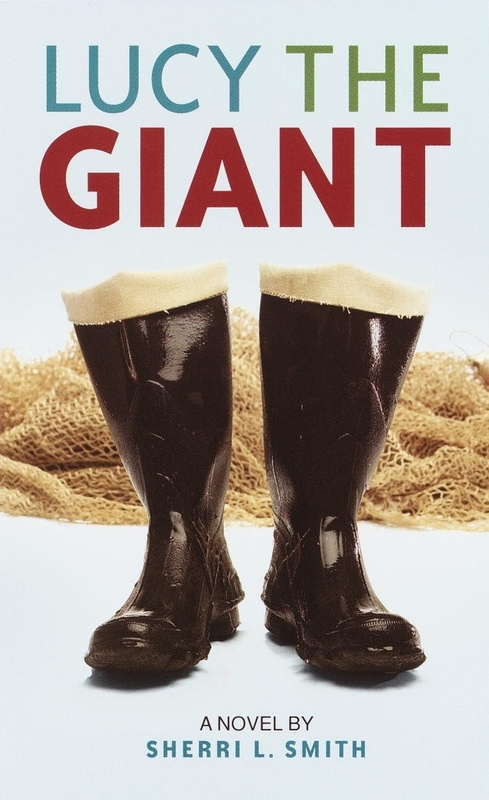 Parts of this book were a little odd – such as Alyssa believing that her mother is a prostitute when she’s not – and this isn’t Peters’ best novel. 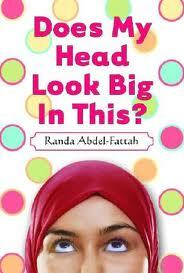 But the general premise is interesting and it’s a good perspective to make sure is included in library collections. After a long plane ride, a young boy arrives in a new city, in a new country, full of unfamiliar words and sounds and places. In his pocket, he’s brought a small piece of home. When he accidentally drops it, and another child picks it up, will he lose his last treasure from home? Or make a new friend? 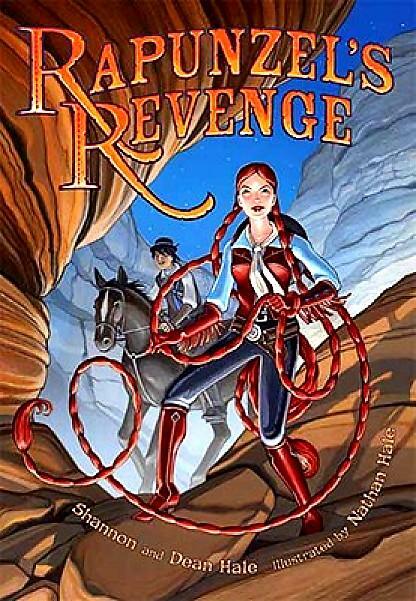 I thought this story was rather sweet, the illustrations were well done, and the decision to make it wordless fit the plot and themes perfectly. I’m not sure how easily children would be able to parse the logic of the story; it’s definitely a picture book that is best for older children, younger children may require guidance or the opportunity to re-read the story several times. Mike was born and raised in Coalton, Kansas. She figures she’ll live the rest of her life there as well, and that’s just fine by her. Until the day Xanadu walks into Mike’s life, and she begins to wonder if maybe there’s more out there for her to find. This is by far one of my favorite novels by Peters. There’s just something about the characters that felt very real and unforced. There’s plenty of messed up people in this book, but also quite a few that are doing the best they can with what they’ve been given, and, of course, kids just trying to figure things out. Prom is so very NOT Azure’s kind of thing. It’s expensive, elitist, and not at all inclusive. 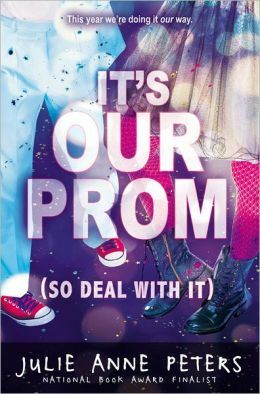 So when the principal asks her to be on the Prom committee she jumps at the chance to turn it into the kind of party she thinks it ought to be – and she convinces her two best friends, Luke and Radhika, to help her do so. But when the school board hears just what Azure has in mind, they might change their minds about wanting her to be a part of planning this year’s prom. It’s Our Prom (So Deal With It) is told alternating points of view, Azure and Luke’s, but it really felt like there should have been a third. Not having Radhika’s point of view made the trio feel unbalanced, and it also meant the book spent a lot of time wondering why she was upset, who she liked, etc. When, instead, it would have been much more interesting if it had focused more on how people would react to her confessions, and not just vice versa. It wasn’t a bad book, but it wasn’t spectacular, and could have been much better. 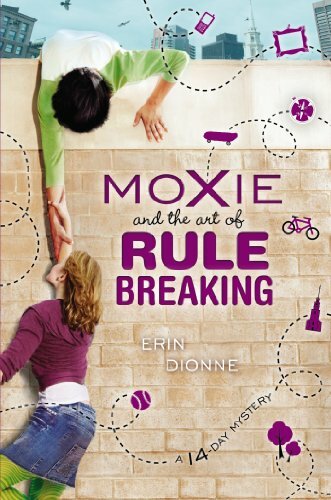 Moxie has always been good at following the rules: Don’t answer the door or have friends over when home alone. No using her T pass unless she has a friend or family member with her. Be home by nine. Until the day Moxie slips up and opens the door to a dangerous looking stranger. Now she has fourteen days to find the missing loot from a decades old museum heist – or the crooks who think her grandfather stole it will find a way to make her whole family pay. The premise and plot are more than a little farfetched, but Dionne’s characters have depth and their relationships are nuanced. I especially appreciated the allusions to classic middle grade mysteries like From the Mixed of Files of Mrs. Basil E. Frankweiler and The Westing Game; they’re definitely part of what makes this book memorable as well as fun. Regan’s family has their share of problems…and secrets. Whose doesn’t? But it’s Luna, Regan’s sister, that has the biggest secret of all. To everyone but Regan, Luna is Liam, her older brother, their parent’s son, a normal boy. But at night, Luna becomes the person she knows she was meant to be. And Regan is the only one who knows. How long can they keep this secret? And what will happen to their family when it comes out? 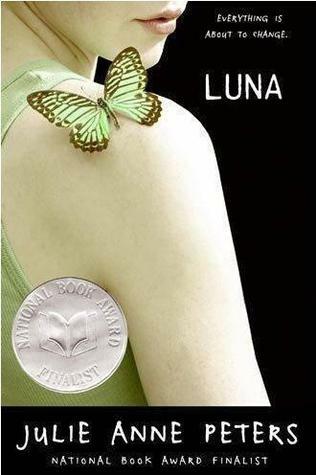 This book was so very frustrating, because while I’m glad for any and every book that depicts transgender teens respectfully, and I understand Peters’ reasoning for not wanting to speak for Luna, I kept wanting to hear the story from her point of view. The main theme of the story was to show people what it’s like to be Luna, but having a first person point of view that wasn’t hers meant that we always saw her through the eyes of others instead. Daelyn Rice needs to escape her life – and she knows the only way out is death. She’s tried before but failed, and thus why she’s home schooled, why her parents hover, and why she knows this time has to be her last. I hate being critical about books that tackle serious subjects, but the truth is this just wasn’t very well written. Like much of Peters work, it wasn’t awful, and there were some poignant moments, but neither did it manage to be anything to get excited about. Antonia Dillon already has too much to do. With her mother unable to function most days, it’s up to Antonia to make sure her brothers get fed, laundry gets done, and everyone stays alive – and that’s on top of her own school and homework. So when Dr. DiLeo asks her to volunteer for peer counseling, the last thing she wants to do is say yes – despite how good it will look on her college applications. And if she’d known she’d be assigned to counsel Jasmine Luther, she most definitely never would have agreed to do it. This book may have been published in 2000, but it felt like it should be from the early 1990s. It’s not quite an after school special – but it’s very, very close. The conceit of asking readers to question who is more “normal” – Antonia, who teachers love but whose home life is falling apart, or Jazz, who teachers hate but who is cared for and confident of herself – is a laudable one. Unfortunately, the Peters’ image of what is considered punk or outside the mainstream of teen culture seems to owe more to My So Called Life than anything from the same year. After a humiliating performance at nationals, all Reese wants to do is get home as quickly as possible so that she can start avoiding David, her debate partner, and Mr. Chapman, their coach. But when a series of freak bird related crashes kills hundreds and grounds all air travel, the trio are forced to drive a rental back to San Francisco. With police barricades limiting their route options, everyone panicking, and birds continuing to act strangely, just getting out of Arizona may be more than they can manage. I like a lot of different sff, but I’ve never been a big fan of the kind of tales that revolve around Area 51 and alien abduction. So while this book will never be a favorite of mine, it says a lot that I enjoyed it as much as I did. (The romance between Reese and Amber helped with that.) I definitely want to see what happens to Reese, Amber, and David – and I may even be a little curious about the government conspiracy as well.